After completing of all require course of BBA program of Eastern University it is an indispensable part of the study to get involved in a practical professional environment for 3 month. It is requirement of the BBA Program. The purpose of the internship report is gather practical knowledge’s on the work field. For internship report purpose we can know many think about the Grameenphone operation and maintenance process and how they can work on the department. This study tries to focus only GrameenPhone O&M department. It is network operation part of the company. There are many scope to study in hare but I am total concern on the site maintain and optimization of Grameeephone. As a business student I am done my internship on the Grameenphone O&M department. So it is a technical department that’s why it is main limitation. Although I can gave my total effort to learn something from the department. In hare also limitation time as well as collect appropriated data. Data are available but they can not provide because the secret of the technical soft. Data is gathered from information, which is the foundation of research. The search for answers to research questions call for collection of data the data collection beings after a research problem has been identified and research design/plan chalked out while decaling about the method of data collection to be used for the study data are facts, figures and other relevant materials past and present serving as bases for study and analysis. A) Primary data: Primary data are generated when a particular problem at hand is investigated by the researchers employing mail questionnaires, telephone surveys, personal interviews, observations and experiment. B) Secondary Data: The secondary data’s are this which are already repaired or collected for some purpose other than the currant investigation. This study mainly based on quantitative rather than qualitative. Data provided by the respondents is the findings of this study. At first I collect the secondary data from various source of information. Reporting: I am reporting head of JSC Mr. Istiak Muhammd Jubayer. Before 9 am must I was done my reporting. Every week Sunday reporting last week total work what was done by me. My works: I am Working pattern like as PM support as the engineer, Civil work site visit, Spare room maintain, Generator serving visit, Generator services provide if elasticity damages, New equipment add if old one fault. Grameenphone announces 15 million subscribers. Grameenphone is now the leading telecommunications service provider in the country with more than 20 million subscribers as of June 2008. Presently, there are about 30 million telephone users in the country, of which, a little over one million are fixed-phone users and the rest mobile phone subscribers. Over the years, Grameenphone has always been a pioneer in introducing new products and services in the local market. GP was the first company to introduce GSM technology in Bangladesh when it launched its services in March 1997.The technological know-how and managerial expertise of Telenor has been instrumental in setting up such an international standard mobile phone operation in Bangladesh. Being one of the pioneers in developing the GSM service in Europe, Telenor has also helped to transfer this knowledge to the local employees over the year. The company has so far invested more than BDT 10,700 crore (USD 1.6 billion) to build the network infrastructure since its inception in 1997. It has invested over BDT 3,100 crore (USD 450 million) during the first three quarters of 2007 while BDT 2,100 crore (USD 310 million) was invested in 2006 alone. Grameenphone is also one the largest taxpayers in the country, having contributed nearly BDT 7000 crore in direct and indirect taxes to the Government Exchequer over the years. Of this amount, over BDT 2000 crore was paid in 2006 alone. Since its inception in March 1997, Grameenphone has built the largest cellular network in the country with over 10,000 base stations in more than 5700 locations. Presently, nearly 98 percent of the country’s population is within the coverage area of the Grameenphone network. 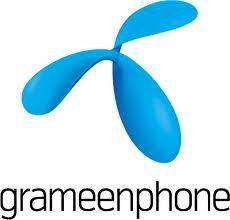 Grameenphone was also the first operator to introduce the pre-paid service in September 1999. It established the first 24-hour Call Center, introduced value-added services such as VMS, SMS, fax and data transmission services, international roaming service, WAP, SMS-based push-pull services, EDGE, personal ring back tone and many other products and services. The entire Grameenphone network is also EDGE/GPRS enabled, allowing access to high-speed Internet and data services from anywhere within the coverage area. There are currently nearly 3 million EDGE/GPRS users in the Grameenphone network. Grameenphone nearly doubled its subscriber base during the initial years while the growth was much faster during the later years. It ended the inaugural year with 18,000 customers, 30,000 by the end of 1998, 60,000 in 1999, 193,000 in 2000, 471,000 in 2001, 775,000 in 2002, 1.16 million in 2003, 2.4 million in 2004, 5.5 million in 2005, 11.3 million in 2006, and it ended 2007 with 16.5 million customers. From the very beginning, Grameenphone placed emphasis on providing good after-sales services. In recent years, the focus has been to provide after-sales within a short distance from where the customers live. There are now more than 600 GP Service Desks across the country covering nearly all upazilas of 61 districts. In addition, there are 72 Grameenphone Centers in all the divisional cities and they remain open from 8am-7pm every day including all holidays. GP has generated direct and indirect employment for a large number of people over the years. The company presently has more than 5,000 full and temporary employees. Another 100,000 people are directly dependent on Grameenphone for their livelihood, working for the Grameenphone dealers, retailers, scratch card outlets, suppliers, vendors, contractors and others. In addition, the Village Phone Program, also started in 1997, provides a good income-earning opportunity to more than 210,000 mostly women Village Phone operators living in rural areas. The Village Phone Program is a unique initiative to provide universal access to telecommunications service in remote, rural areas. Administered by Grameen Telecom Corporation, it enables rural people who normally cannot afford to own a telephone to avail the service while providing the VP operators an opportunity to earn a living. The Village Phone initiative was given the “GSM in the Community” award at the global GSM Congress held in Cannes, France in February 2000. Grameenphone was also adjudged the Best Joint Venture Enterprise of the Year at the Bangladesh Business Awards in 2002. Grameenphone was presented with the GSM Association’s Global Mobile Award for ‘Best use of Mobile for Social and Economic Development’ at the 3GSM World Congress held in Singapore, in October 2006, for its Community Information Center (CIC) project, and for its HealthLine Service project at the 3GSM World Congress held in Barcelona, Spain, in February 2007. Grameenphone considers its employees to be one of its most important assets. GP has an extensive employee benefit scheme in place including Gratuity, Provident Fund, Group Insurance, Family Health Insurance, Transportation Facility, Day Care Centre, Children’s Education Support, Higher Education Support for employees, in-house medical support and other initiatives. For the first time Telenor is establishing a common vision and set of values for the whole organization. The first launch of the renewed vision and values took place for our operations throughout Scandinavia and Hungary on November 15th.The launch of a common vision and set of values marks a new phase in the development of Telenor as an international company. We are moving from a holding-company approach to a more collaborative united force, where we will stimulate best practice sharing and co-operation between markets while maintaining the local edge and market relevance. Our vision and values will unite the together and deliver the foundation for our enterprise around the world. Our fundamental tool towards becoming truly customer focused. The renewed vision crystallizes our customer focus as the cornerstone of everything we do: to help our customers get the full benefit of communications services in their daily lives. Telenor’s vision is simple: We’re here to Help. The values spell out how we will serve our customers around the world: Make it easy. Keep promises. Be inspiring. Be respectful. Making our brands stand out from the competition in a positive, differentiated and relevant way. To succeed as a service company in a very competitive telecommunications industry, we need to have very distinct brands. By delivering on our values we will create relevant, tangible customer benefits and a pointed difference in each of the markets where we operate. These values give us a distinctive personality that will make us stand out. This renewed vision and values are our internal guidelines and will therefore not be included in communication externally. This implies no external publication of brochures, films or other materials regarding the vision and values. Group CEO JFB on Vision and Values. How will these values make a difference? Telenor’s vision is simple: We’re here to help. To make this vision a reality, each of us can draw on our values and build them into guiding light behaviors in our workplace, wherever that may be… Make it easy. Keep promises. Be inspiring. Be respectful. What does this mean for our customers, Telenor employees – us – and the company’s shareholders? We’re here to help.Telenor’s renewed Vision recognises that we exist to help our customers get the full benefit of communications services in their daily lives. In short: We’re Here to Help.The key to achieving this is that we work together and draw on our renewed Values and build them into guiding light behaviours in our workplace, wherever that may be… Make it easy. Keep promises. Be inspiring. Be respectful.Four simple statements, but when embraced by Telenor people around the world, they will help transform Telenor into the global driving force for modern communications and customer satisfaction we need to become.How will these values make a difference?Let’s look at each of the four values, and see some examples on how they will affect our customers, Telenor employees – us – and the company’s shareholders. We’re practical. We don’t over complicate things. Everything we produce should be easy to understand and use. No waste. No jargon. Because we never forget we’re trying to make customers’ lives easier. For our customers, making it easy will be addressing some very fundamental customer needs. They need simplicity. Solutions and services that are easy to buy, easy to use and are built to meet their needs. Solutions and services that work well. For Telenor employees everywhere, this means the following… No jargon, be direct and simple. Show transparency. Push for simplicity in tools and in logistics. Share best practices. Adopt clearly defined roles and responsibilities. For our customers, this will mean they can build trust in us. The solution or service works – if not, we are there to make it work. They need us to deliver on time, to expected levels of quality, and at a fair price. They need us to be strong on action, not on fine words! For employees everywhere, this means… We follow through. We never launch something new before it works as it should work. We arrive on time and we deliver on time. We commit to concrete, realistic promises to our customers – and deliver on our promises. For our shareholders, this will mean that we lead the industry in customer satisfaction, and win industry recognition for follow-through and delivering on our promise. For our customers, this will mean they will want to engage with us, will appreciate our innovative and modern approach, will appreciate our future proofed solutions and services, and will acknowledge our category leadership. For Telenor employees everywhere, this means… that we live up to the challenge and inspire our colleagues and customers ‘ walk the talk! We must call for creativity at every level, show care, energy and passion. Be fresh and direct, and demonstrate a can-do attitude. For our shareholders, this will mean leadership in our focused category, and a business model that is sustainable into the future. For our customers, this will mean each of them can expect to be treated like an individual. Each of them will feel valued, understood and listened to, and their needs acted upon. For Telenor employees everywhere, this means we sign up for using customer feedback as a means to improve. We value the individual and diversity, we act as a team. Our behaviors are infused with honesty and strong ethics. For our shareholders, this will mean they can count on clear codes of conduct across our organization. GP value added services such as Flexi Load, Ring tones downloading etc. Content on health, agriculture etc. GrameenPhone is rolling out Community Information Centers across rural Bangladesh, giving up to 20 million people the chance to use the Internet and email for the first time. GrameenPhone is teaming up with local entrepreneurs to set up approximately 500 centers in communities throughout the country by the end of 2006. GrameenPhone has delivery partners such as Grameen Telecom Corporation and Society for Economic and Basic Advancement (SEBA) that are involved in site and entrepreneur selection. GrameenPhone takes care of training, marketing and logistic support. GrameenPhone also provides the GSM infrastructure and the initial services. The micro-financing partners, if required, provide small loans to entrepreneurs who render the services to the local rural community. It takes around USD 1000 to establish a GPCIC. Expected revenue of USD 6-7 per day would make a GPCIC financially viable and it would reach break-even in about a year’s time. Telenon doing their operation in 12 countries they can serve many people in those countries. So Telenor is a multinational company. 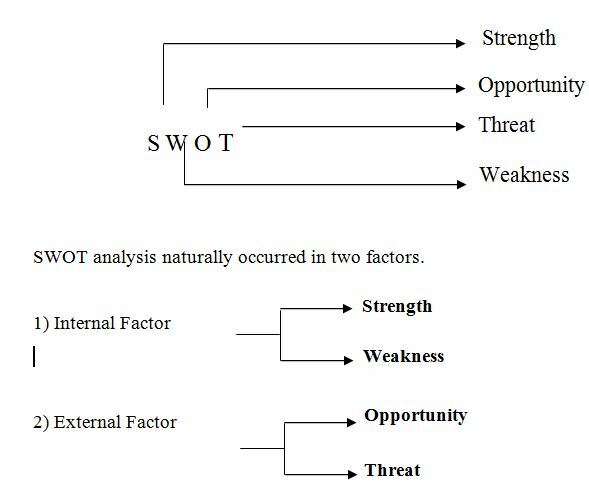 SWOT analysis defines that company’s own strength, weakness, opportunity, and threat. It is most needed things for a company that determines its current situation in the market. SWOT analysis naturally occurred in two factors. • Availability of Backbone Network (Optical fibber). • Good Human Resource and Infrastructure, installation all over the country through Bangladesh Railway and Grameen Bank. • Access to the widest rural distribution network through Grameen Bank. • Too much inside out thinking in the company. • Different departments not working together. • Poor interconnection with BTTB. • Billing System can’t handle sophisticated billing. • Absence of Prepaid Offer. • No long-term Distribution/Channel strategy. • Economic growth of Bangladesh. • Growth in other operator will give more connection. • More rigid government regulations. • Non-co-operation of government and fixed PSTN (Public Service Telephone Network). • Risk of fire in GP’s Installations. • BTTB has limited capacity for interconnections. Proper distribution problem AC, Battery, Module, Generator, Civil works problem, Power problem. Grameenphone is the larger mobile company of Bangladesh. Height coverage’s of the country. The Bangladesh infrastructures very poor so the site maintenance problem mainly occur. In bad weather more of the base station have problem the power problem so very early the equipment damage. Some time some one stolen the cable of the BTS room, grounding cable, Power cables Ac grille and other valuable equipment. Under the JSC has more than 300 sites all site has AC bit the AC can not distribute proper way. Some site needs 1.5 ton AC but site has 3 ton AC. On the other hand needs 3 ton AC but site has 1.5 Ton AC. Some site needs 2 set batteries but has 1 set battery. Generator does not need some site but has generator. The civil works problem when the site construction. Some sites needs the voltages stabilizer but that sites not Voltages stabilizer. ROM is the owner of all kind of equipments at sites and any site itself. First line fault handling of all kinds of equipment of Transmission, Power and BTS equipments. – For Handling faults, there is specified Service Level Agreement which is popularly known as SLA (allowed time varies from Fault to Fault) for each type of fault. – In other word, PM is called Corrective Maintenance. – There is specified Preventive maintenance form/check list, which is to be fulfilled while doing any preventive maintenance. Hundreds of connectivity are required like, MSC-MSC, MSC DSC, BSC-DSC, ‘BSC-TSC etc. Some connections required to be connected physically after having the software connections. ROM engineers make these physical connections. – When any new node is integrated with the existing network elements, connectivity required to be established with the new clement and many physical connections requuv-d to be made and are done by ROM engineers. – ROM engineers do capacity up gradation, when required as per ihc ne^vo,! requirement. – Whenever new optical transmission link is required io be established, in^ua.,.. ;’•„ \ uud commissioning of interface cards (Optical/Electrical), establishing I he iiuL iu la n\s engineer’s responsibility. – Connectivity/commissioning of PCMs with oilier operators are RGivi cagbu.i$’ responsibility on requirement basis. Technical Support for GP Subscribers & Employees about network problem. O&M and 2nd line IN Network Maintenance. Pre-Paid Service Logic Maintenance. O&M and 2nd line Refill Network Maintenance. Provisioning of new Refill based Services.. Pre-paid Tariff Handling and Maintenance. O&M and 2nd level VAS Maintenance. New Value Added Service integration & Maintenance. Ensure network Access controls through OSS systems. Environmental main ten. Of core sites. Fiber Network PM & patrolling coordination. Back-up & HW maint. Of core sites. Perform regular sample auditPrepare budget for PM resource. Ensure payment of vendors within timeline. Attend and coordinate fiber and MUX related fault handling of the region. Quality benchmarking and follow up. Fixed asset management within Networks. Prepare (Extract from ROC) the Preventive maintenance Schedule Sub center wise. Listing the Snags and follow up the clearing procedure and time line, report monthly. Pick up the snags related to the Civil Works, forecast the clearing time line and report timely, mentioning the time line (SLA). Prepare the Achievement target of PM, Snag clearing quarterly. Preparing the clearing achievement report of Civil works related snags of own unit. Site visit and preparing plan of standardization the sites older than 7 years. Budget Allocation tracking; Declaring to relevant units/sections after the budget is approved. Tracking purchase requisition and approved amount. Tracking regular CapEx addition; Reporting weekly. Updating Operational OpEx incurring and balance of ROM (SC/Region wise); Weekly. Checking all kind of Bills (Business Control of ROM) from ROM and coordination with Business Control unit of Networks. The BTS includes all Radio and transmission interface equipment needed on the radio site to provide connection with the mobile station over the air interface. One frequency is used to transmit signals to mobile station and the other one to receive signals from mobile stations. RBS includes all radio and transmission interface equipment needed on the site to provide radio transmission for one or several cell. RBS is the Ericsson’s product name for the GSM Base Transceiver Station. The RBS cabinet houses up to 12 TRUs plus common equipment needed for serving the cell configuration. The double transceiver, dTRU, consists of two transceivers in one unit of the same size as classic single TRU. Cable entries for antenna jumpers, transmission cables, and mains power are concentrated on the roof of the cabinet. Power supply can be 230 V AC, -48 V DC or +24 V DC. RBS 2206 consists of following elements. All sorts of Power maintenance are our responsibility. When commercial power is unavailable, power backup ensuring by generator running is one responsibility of ROM engineers. When any fault occurs with the commercial power, Energy meter/Service line/Transformer related or what else, its ROM engineers’ responsibility to take care for removing the fault and ensure power to site. In our BTS most of the cells are 2 volt cell. Depending upon the rack the battery can be arranged in different tier. But the important thing is to get 48 volt by series and parallel combination. Specification. Float voltage setting and boost voltage setting varies depending upon various battery manufacturer. ‘Like for GNB battery the float voltage setting is at 55.2 and boost voltage setting is 56.4. Whirlpool, Coolinc, General, Unitech, LG – Capacity – 1.5 ton to 2 ton; used for BTS. Air-conditioner operation based on time (applicable for ACP-douhle AC) [ACP will operate air conditioners based on time period defined by user. There will be an adjustable delay time (start from zero) for starting the air conditioner at any condition. There will be an adjustable delay time (star from zero) for starting the second air conditioner. Incase of any failure of the ACP or high room temperature (adjustable), there should have one alarm facility through the potential free contact point. ACP Should have bypass option. At bypass there will be no controlling functionality of the ACP, it will directly pass the AC power to output terminal for operation of the air conditioner. – Capacity 8.5 KVA to 40 KVA, used in BTS and core sites, Need basis. Capacity – 7.5 KVA to 8.5 KVA; Used for BTS power back up. Some site has heavy generator but it is not needs to the GP can give the battery backup. So the more money save for the generator purpose. The basic function of alternator is same in Portable Generator and Stand by Generator. AVR(Automatic voltage regular) is use in auto Generator but not at portable Generator. Auto(Generator is Diesel Engine and portable Generator is patrol Engine. Diesel Engine use for heavy duty and Patrol Engine is use for non commercial purpose. Auto generator is water cooling system and portable Generator is air cool or natural cooling system. Auto generator is three phase and portable Generator is single phase. There is Temperature sensor, Lube oil pressure sensor, over speed sensor at the Auto Generator but at Portable generator. Identification: Introduce BER & Decreased Receive Level .Confirm BER (Bit Error Rate) is of Interference from other link. Power off the IDU at one end and measure the receive level at opposite end. If the Receive level is between -50dbm to -80dbm it will introduce BER. Check the correct configuration from planning. 2. Tighten all bolts and nuts to the specified torque. 3. If any rust found, clean it with proper instruction IF Cables and Tributary Connectors. Traffic IN/OUT cable and connectors. Use Loop cable and LED to detect the faulty El connector. a) IDU. The Manufacturer does recommend replacement of modules within IDU. The following actions shall be performed on the new IDU before connection to ODU i) Set the Equipment Configuration for the station according to the site inventoryrecord. At least, TX/RX Frequency (CH) TX Attenuation, Bit Rate and Frame ID Shall are set. Confirm TX path info through Data base, Route of the Proceeding link, Frequency & Capacity of the Link). Purpose To introduce agencies to Web Control-D software for access to Central Accounting System (CAS) reports over the Internet. Description and Uses Agencies currently use Web Control-D for viewing OSC payroll reports. As with payroll reports, accounting reports can be viewed online, printed and saved using Control-D. The software also provides several filtering and search tools enabling the user to locate specific data in a report quickly. In addition to offering Web Control-D for report viewing, OSC will continue to print reports at agencies using ROPES and to transfer report files to agencies using FTP. However, agencies that currently have their reports printed at OSC should be aware that OSC intends to discontinue printing agency reports in the near future and should acquire Control-D access as explained in this bulletin. Easy to use software with an online manual. Netscape Communicator Version 4.7 and above. Additionally, the browsers on computers used by each agency to access Control-D must accept cookies, pop-ups and plug-ins. Plug-ins can only be added by personnel with administrative rights. If you do not have the rights to configure your PC for Control-D, please contact your agency’s System Administrator. Licensing and Instruction Manual Each user must have a license in order to access Control-D. To receive a license, your agency’s Security Coordinator must complete a Computer requesting Control-D and submit the form as instructed below. OSC will initially allocate up to four licenses to each agency in addition to any Payroll Control-D licenses an agency may already have. Agency Security Coordinators should ensure that duplicate licenses are not issued to an individual. The following table provides guidelines on obtaining Control-D licenses and access to CAS reports. The Steering Committee of the HABITS trial (Hormonal replacement therapy (HRT) after breast cancer diagnosis – is it safe?) has decided to stop inclusion and recommend all patients on HRT to stop treatment. Members of the data monitoring committee and representatives for two other studies: a similar study in Stockholm and the U.K trial on HRT in breast cancer survivors were present when the decision was taken. The study protocol and all previous Newsletters from the trial office are available below. HABITS was designed as a non-inferiority study and was dimensioned to be able to exclude a relative hazard for new breast cancer events equal to or greater than 1.36 comparing HRT to no HRT. In 2002 the Stockholm trial and the HABITS study agreed to collaborate for a prospective pooled analyses since the recruitment has been slow in both studies. An independent data monitoring committee (DMC) has followed the trial data. Since the agreement about pooled analyses the committee has analyses data for the two studies combined. The protocol amendment regulating the collaboration between the Stockholm study and HABITS stipulated that the DMC should discuss the findings with the steering committee when the combined estimate of the relative hazard of HRT compared to no HRT was significantly larger than 1. This result was reached in the recent safety analysis (RR=1.79, 95% Confidence Interval (CI) 1.03-3.10). However, there was a large, significant (p=0.02) heterogeneity between the studies: in HABITS the relative hazard was 3.29 (95% CI 1.48-7.35) and in the Stockholm study it was 0.82 (95% CI 0.35-1.89). The results lead the DMC to recommend an early termination of the HABITS part of the trial. However, the steering committee of the Stockholm study also determined to terminate their study due to anticipated low recruitment and compliance in the current situation. The further results report are based on 434 women randomized until September 2003 in the HABITS trial. The Stockholm study will report separately. The baseline characteristics were similar in the two study arms – with a possible exception of somewhat more women with hormone receptor negative tumors in the non-HRT arm. There were no signs of a differential follow-up. Three hundred and forty-five women had at least one follow-up. Twenty-six women in the HRT arm and eight in the non-HRT arm experienced a new breast cancer event. In the HRT arm, 11 of those events were local recurrences and five contra lateral cancers, the corresponding figures in the control arm being two and one. Further analyses stratified on ongoing tamoxifen treatment, HRT taken before diagnosis or hormonal receptor status did not show any clear patterns of effect modification. To check data quality and to study participant’s compliance to recommended treatment, the original case record forms were studied for all women with an event and for two controls for each case matched for time at risk and randomization arm. No major coding errors were found. In the HRT arm all women with events had been exposed to HRT and all but three patients experienced the event while on treatment. In the non-HRT arm four of the eight women were exposed to HRT. There were five deaths in the HRT arm and four in the non-HRT arm. The results are based on preliminary data and before a full data monitoring. Thus, the results may change after a complete data-check. However, the Steering Committee of the HABITS trial judged the data to be mature enough to strongly indicate that exposure to HRT conveys an unacceptable risk in the HABITS trial. All women with events in the HRT arm were exposed to HRT and most of them had the new breast cancer event under treatment, and even some of the women with events in the non-HRT arm were exposed. The data are biologically plausible given the patterns of compliance and our knowledge about breast cancer risk in previously healthy women. The Steering Committee thus decided to follow the recommendation of the Safety Committee to terminate the trial and to advise women on active treatment to discontinue. However, all women should be followed as planned, especially important for those exposed to HRT after a breast cancer diagnosis (in whichever randomization arm). Together with data from the Stockholm and the ongoing UK trial, important information will come out of this study with a long term follow up. A research letter with more data on the safety analysis is submitted for publication. A full report on monitored data will follow during the spring of 2004.
if the use of hormone replacement therapy (HRT for menopausal symptoms) is safe concerning risk of breast cancer recurrence. The study design is an open – i.e. not placebo controlled – randomized clinical study where one group of patients is offered HRT, the other is randomized to best symptomatic treatment without systemic hormonal treatment. RUT (Resource Utility Tool) is a automated process for AS&S, Field Operation group developed by Telecom Management Network of GrameenPhone. For using this application a user must have valid user name and password. For using this application user should open the internet explorer of Microsoft Corporation. Then he/she should write in the address bar http://172.27.15.21/rut/login.php. Then a login page is appeared. Above picture gives sample of user login page. For using this application user should enter his user name and password of corresponding text field. After filling the text field if user hits on submit button and user name & password is correct then he/she can access in main application otherwise access is denied and “Wrong username or password” message is give to user. If user clicks on Reset button then text fields are cleared. Record PR (Purchase Requisition functionality). Spare Transfer (Spare Transfer functionality). Spare Receive (Spare Receive functionality). By clicking on each functionality node user can get related user interface for this functionality. Record Faulty Element:- This functionality is used for replace a faulty element by a spare element and send this faulty element to the central ware house.. Receive Faulty Element: – This part is used for acknowledge that faulty element is received by central warehouse.. Processes Faulty Element: – This part is used for process a faulty element. By clicking on each functionality node user can get related user interface for selected functionality. KPI tracking module includes only one sub-module View KPI. View Kpi is used for showing KPI for a specific user according to date. Using this sub-module negative kpi can be converted to positive kip. Search Tools module includes all search related functionality. This module is divided into six functionalities. Spare List: User can search spare elements buffer, category ,name and vendor wise. PR List: User cans search current active PR department wise. User can also delete such type of PR whose PGRD is not initiate. PGRD List: User can search PGRD date wise and by selecting a single PGRD user can view it’s current status. Faulty Element List: User can search faulty element category, name and vendor wise. Transfer List: User can search transfer list date and also can delete non-acknowledge transfer. Particular Element: User can search elements using category, name, stock code, asset code, serial no, part no. Entry Tools module is used at first phase of the application. When this application is started to used in sub-center and central ware house consist multiple element. For insert these elements in database user should used Entry Tools module. Entry tools include one sub module Entry Form. After insert all data user should hits on save button. If user wants to go in main page then he/she should click on Back button. The quality of your entire after sales service depends primarily on the supply quality of spare parts for your customers, service technicians, and workshops. Supply quality is by no means defined solely by the speed of supply; it also depends on the costs involved. It is necessary to achieve a balance between low spare parts inventories and high spare part availability. the delivery ability of suppliers. Additionally, there are often insufficient local resources available, or there is no global network to cover the short-term needs of customers rapidly and efficiently. The solution lies in ensuring the economical availability of required spare parts. We can support you here as well – through well-organized Spare Parts Management of Siemens Industrial Services. Security of supply for spare parts. Order processing – from order entry, processing, disposition through purchasing to order tracking and reporting using appropriate performance measures. Network management – from the configuration and use of information networks through the central disposition, process control, and priority-oriented stock management, to the integration of your own and other regional storage facilities on-site. The product families consolidate all our capabilities into one integrated offer – our Completely Integrated Solutions. We’ve made sure that every solution that’s related to process improvement is also designed for the integration into the corporate information structures and for the optimization of plant life cycles. The components which lie at the heart of our products are standard, best-in-class solutions such as SIMATIC, the world’s leading automation solution. They prove their reliability every day in all sectors of industry. And because they’re so widely used, they generate a steady flow of feedback and experience, which we apply to improve and refine these products on a regular basis. Our products are based on standard solutions that we’ve adapted and refined to suit the particular needs of specific industries. They represent solutions for specific tasks, and are interface-optimized and incorporated into an overall plant optimization strategy to create our plant modules. Our industrial solutions are specifically designed to improve individual production steps. They’re backed by our extensive knowledge of processes and our many long years of experience with industrial applications, and are designed to simplify production processes, for example, as well as improve their quality. Our product families, which are specifically designed for the needs of various industry sectors, consist of complete solutions for optimizing the manufacturing process and secondary processes such as logistics, power supply and process water. Applying our technology expertise, together with specially optimized products, we can create tailored solutions for every kind of plant. To this end, we work with modular plant components, which are preconfigured, interface-optimized performance modules for whole functions and processes. Our life cycle services are designed to optimize the overall performance of your entire plant. They increase plant availability and assure long-term competitiveness. Our service offerings include installation, maintenance and modernization services. The Siemens Industrial Solutions and Services Group (I&S) is the integrator of systems and solutions for industrial and infrastructure facilities and global service provider for the plant and projects business covering planning, installation, operation and the entire life cycle. I&S uses the electrical and technical products of other Siemens Groups in order to enhance productivity and improve competitiveness of companies in the sectors of metallurgy, water treatment, pulp and paper, oil and gas, marine engineering, open-cast mining, airport logistics, postal automation, intelligent traffic systems and industrial services. In fiscal 2005 (to September 30) I&S employed a total of 31,700 people worldwide and achieved total sales of EUR 5.390 billion. Our knowledge and our solutions are helping to create a better world. We have a responsibility to the wider community and we are committed to environmental protection. In our global operations, featuring a great diversity of processes, products and services, our company is concerned with sustaining the natural resources essential to life. We view the economy, environmental protection and social responsibility as three key factors carrying equal weight in a liberal world market. We support the dissemination of knowledge needed for sustainable development through the transfer of knowledge in the fields of management and technology, wherever we operate as a company. For us, sustainable development in environmental protection means careful use of natural resources, which is why we assess possible environmental impacts in the early stages of product and process development. It is our aim to avoid pollution or reduce it to an minimum, above and beyond statutory requirements. Repair Service – more than just professional repair Our Repair Service comprises services that for technical and financial reasons must be performed in service centers and laboratories. Particularly for makers of electronic and electromechanical components and equipment, our Repair Service enables them to have repair performed on their products worldwide both during the warranty period and after it expires. If you don’t have service points in the markets you serve, then we can help you to avoid the high transport costs and long travel times involved in getting equipment and specialists where they are needed. GP has 36 frequency channels in the GSM band and an additional 36 frequency channels in the DCS band. The actual spectrum is 7.4 MHz GSM between 907.6 and 915 MHz, and 7.2 MHz DCS spectrum between 1720 and 1727.2 MHz. The TRU channels are re-used often in different base stations, but must be separated by enough distance so that two TRUs using the same frequency channel do not interfere with each other. In most cases, a base station has three sectors with at least one transceiver unit (TRU) in each sector. GP uses two different types of cabinets for its base stations to hold the transceivers and processors. The older cabinets (no longer ordered) are designed to hold only a maximum of six TRUs total (shared between three sectors in any configuration). The newer cabinets have a capacity for 12 TRUs total. Based on the number of available frequency bands, one base station can support up to 4 TRUs in each of its three sectors, given enough cabinet space and transmission capacity. Two base stations can be co-located (one GSM and one DCS) so that there are effectively 8 TRUs in each sector. Other constraints to consider are that GSM TRUs cannot share the same cabinet as DCS TRUs, and the GSM bands have a larger footprint than the DCS bands. In locations where both GSM and DCS frequencies exist, the site is considered to be co-located, meaning two base stations in at least two cabinets at one location. Base stations are designed and built as required to achieve three objectives: coverage, capacity and quality. Coverage ensures mobility and connectivity, capacity is required to handle the growing traffic, and quality base stations are built to resolve frequency interference and weak signals. Physically, the 900 MHz (GSM) frequency range propagates with less signal strength loss further through space and obstructions than the 1800 MHz (DCS) range. For this reason, GrameenPhone uses GSM for coverage base stations and DCS for extra capacity and quality. Base station controllers (BSCs) can be located anywhere in the network. They collect the traffic from the base stations and forward it towards the mobile switching centres. The base station controllers also perform functions like call hand-over from sector to sector and separating data traffic from voice traffic. •Architecture requirements supported by the equipment supplier. The number of BSCs required in the network is dependent on the number of base stations, the number of sectors, the number of transceivers, and the amount of expected traffic. Transcoders (TRCs) convert the compressed digital voice traffic from the BSCs into standardized 64 kbps channels that are recognized by all carrier-grade telephone networks. TRCs are always located at the MSC locations and of course they work in both directions (coding and decoding). TRCs are modular and are dimensioned based on the amount of traffic coming and going to the BSCs. The capacity of an MSC is dependent on its processor load, the size of its switching plane, the capacity of its databases, and the number and size of its interfaces. All of an Mac’s components can be upgraded modularly until the processor load becomes the only limitation. The processor load is dependent on many variables, including the total traffic throughput, but in GP’s case, it is mostly dependent on the busy hour call attempts (BHCA). Busy hour call attempts are generated every time a number is dialed and the “send” button pressed on a mobile telephone, regardless of whether the dialed party answers the call. The caller-ID feature has inspired many subscribers to purposely make calls and quickly hang up in order to leave their ID without paying anything. There is no way to predict the BHCA based on number of subscribers or traffic; however, to a certain degree, the BHCA trend follows the traffic trend in each of the switching areas. GrameenPhone already has many MSCs in the network which the planners use to approximate the capacity of future MSC in similar areas. The mobile switching centres require large buildings and many interconnections. They also require many technicians and operations staff for daily maintenance. For these reasons, it is economical to have multiple MSC in the same city and preferably in the same building. Having fewer MSC locations also makes load sharing and cutovers easier, since BSC can easily be added or changed between two co-located MSC. GrameenPhone has the authorization with its mobile license to build and maintain its own transmission infrastructure. This may include microwave radio links, optical fiber, or copper wire. The medium for each link is determined by the geography, microwave frequency availability, and the trade-off between the capital expenses (capex) versus the operational expense (opex) of leasing transmission capacity. In most cases, short low-capacity links are best created with MW links, while longer and larger capacity links are best created with fibre optic links. It is desirable to create redundant capacity along a diverse path in the backbone network to prevent revenue loss due to cuts or other outages along the backbone route. The endpoints of the two diverse and redundant paths are joined together to form a logical ring so that any traffic inserted into the ring can be extracted at any other point as the traffic travels around the full ring. If a ring is cut, the traffic automatically loops back eliminating service interruption. Figure 4 shows the logical flow of traffic on a ring in normal and cut conditions. The bulk of GrameenPhone traffic is carried in three types of circuits within the backbone and access network: the Abis circuits, the Ater circuits, and the A- circuits. The Abis is a dedicated circuit that connects the transceiver units to their base station controller. Each TRU requires three time slots on the Abis. The Ater is a trunk between the BSCs and the TRCs. Ater circuits carry four full rate or eight half rate voice channels per time slot from the Abis circuits. The A- circuits are trunks that connect TRCs to MSCs, or MSCs to MSCs, or MSCs to other operators. Only one voice channel is carried in each time slot in the A- circuits. Figure 2 shows the main circuits in the voice network. Each new BTS and each new subscriber affects the transmission network. New BTSs require dedicated Abis circuits and new subscribers generate traffic that requires expansion of the Ater and the A- circuits. Traffic patterns and trends are constantly monitored in all the circuits in the GrameenPhone network. The traffic trends allow the planners to predict the fraction of traffic in each MSC that will be transported through the A- circuits (“routes”) and the Ater circuits. Typical routes on an MSC are local (mobile to mobile in the same MSC), transit (mobile to mobile on different MSCs), and interconnection (mobile to other operator fixed or mobile). GP requires at least one full E1 per BTS everywhere in Bangladesh. High capacity sites require an additional E1. Data features in the GSM network require additional transmission in parallel with the voice transmission network, but the required capacities of the data network are much lower than the voice network. A signaling network operates in parallel with the voice and data network. The signaling network is necessary to locate subscribers, set up calls, authenticate subscribers, adjust the prepaid balances, transmit SMSs, and many other administrative tasks that are vital to the operation. Signaling circuit capacities are much lower than the data and voice networks. The acceptance process is the last step in the creation of a new network element such as a BTS site. In order to perform the acceptance a number of conditions must be met, and a large number of actions have taken place prior to the handover resulting in the acceptance of a new site and the launch of the new network element. The actions can be seen as a chain of dependencies and they all have to be defined, documented and understood in order to arrive at the stage of acceptance with sufficient inputs (prerequisites). The process from planning through implementation with the launch of a new network element in Operation can be described with a flowchart like figure 1. The flowchart will not describe accurately the entire process, but it provides a high level description of some key interfaces and handovers which are essential when the process is seen from the acceptance point of view. The main focus in this review is the mass production of sites, and it is to accommodate the large increase in the number of sites to be built in 2004/2005. For retrofits (replacements) and expansions parts of the process will not be applicable and time lines may differ, but the overall process will conform with the process presented herein. This document is not only limited to reflect the current situation but what should be targeted seen from an acceptance point of view, where existing procedures and new amendments are blended to form a more complete and uniform process. This document is kept at a structural level and will not describe in detail the various activities required to achieve the outcomes as described in this document, the specific activities must be identified and mastered by the relevant GP section. Where applicable the same process shall be followed for transmission sites, in addition special attention should be given to labeling and documenting each link in such a way that they can be clearly identified. When a network grows the need for documentation becomes clear as it becomes more and more difficult for each member to have an overview on all of the sites, what they look like, what is installed at the site, how can expansions be made, etc. Knowing someone who knows something site-specific is handy, however having a standardized system allowing everyone to know where and how to find the required information is more predictable, and in the long run more efficient. Collect all existing specifications, standards and practices concerning BTS site construction into one single document. Propose enhancements to existing specifications, standards and practices based on Telenor standards and solutions. Review of BTS Site Construction Manual by Planning, Implementation and Network Operation departments. One drawing of each category is normally not needed. Some categories can be combined into one drawing (for example “Site location map” can be combined with “Site development plan”), but normally a typical set of site construction drawings consists of 4-7 drawings. It can also happen that more than one drawing of a category is required for a specific site to be able to explain the issue accurately. Drawing size shall be A3. All drawings will contain references or indirectly relate to the standard detailed design drawings (made available to each Contactor before construction start). The drawings and design shall reflect current legal situation in Bangladesh. All drawings shall be approved by all relevant parties within GP prior to handover to contractor. All drawings in GrameenPhone shall be numbered and the number shall reflect who the owner is and what the drawing is. This is to ensure that misunderstandings and mixing of drawings occur. 2 = Cumulative number in case several drawings is needed in the same category (eg. there are 3 different “Tower Foundation” drawings and this drawing is the second of them). A sitefolder should be created in cooperation with Planning, SA, CW, RO and NO. This is to assure that each department is given the opportunity to influence the structure as well as the content of a site folder. Each department should have a listing of the required inputs and outputs to/from the other departments. The sitefolder shall always have the correct/updated version of the documents. One should avoid having “personal” databases on the personal computer. No tasks are considered to be completed unless all related documents are in place. Radio plan (Cell relations, No. TRU, etc.) Both provisional and final version. Transmission plan (Link budgets, etc.) Both provisional and final version. The database will be under restructuring for some time, in the meantime a temporary Access database “ROC” will be set up and the functionality as well as the data from it will be transferred/converted into the restructured database. The acceptance work will be carried out (unaffected) in parallel with the database works. The sitefolder will be crated maintained and used separately and unaffected by the database status. When Site Acquisition has found a candidate which meets the requirements made by radio planning, the site visit is scheduled. The technical review shall have representatives from: Site Acquisition, Radio Planning, Transmission planning, Civil Works, the appointed construction contractor and a representative from the site owner or someone empowered to make lease and design decisions. Site measurements and layout (drawings of existing construction) – detailed sketch containing all relevant information to produce all required drawings. When site design and the drawings are approved the CW supervisor shall call the contractor to site for a joint construction kickoff meeting. The final construction drawings are reviewed by all parties and any amendments are noted on both copies of the drawings and signed by both parties. The same applies for any changes in the BOQ. A change order shall be issued if applicable. The works shall not be approved / paid until all pending issues on the snag list are resolved and all required documents and test results are presented. When Civil Works are completed the technical installation can start. The Installation supervisor shall meet with the contractor at site to perform a PISM and review the design as well as the site quality. In case of a successful PISM an installation start date shall be agreed not later than 5 days. The GP engineer will issue an equipment call off within the next 24 hour and delivery on site shall take place within 3 days after it. Equipment installation and commissioning must be completed within 5 days. At this stage there shall be no deficiencies pending from Civil Works. When the feeder measurements are found to be according to the requirements set out in the specifications, BTS and Transmission equipment can be commissioned and integrated in the network. The engineer will perform a complete site integration including all required tests and as a final result the site shall be technically “On Air” and barred in the OMC. After a successful integration of the new network element, Network Operations is requested to perform the acceptance. The first step in the acceptance process is the Stability Test Period (STP) and it starts after the new network element is successfully integrated to the network. The Stability Test Period is 24 hours, in which OMC will extract BTS PCM link data from AXE and it is considered successful if performance is compliant with the standard defined by BSS. The on-site work for the Stability Test Period will be started by Implementation, but will be completed by Network Operation personnel. Following the Stability Test Period there will be a period of maximum seven days for acceptance preparations, such as collection of all needed documentation for Preliminary Acceptance Test. All site documentation (site folder) is handed over to Network Operation prior to the Preliminary Acceptance Test. Preliminary Acceptance Test will then be scheduled by Network Operation when documentation and performance of the site as stated in the documentation is according to Construction and Installation Standards. After the Preliminary Acceptance Test there will be a period of maximum ten days for Implementation to clear the snag list. A new mutual site visit to perform Final Acceptance will not be scheduled. Final Acceptance will be given when photo evidence of the cleared deficiencies and completion of all documentation is provided. The site is considered handed over when Final Acceptance criteria are met. The new network element is now the responsibility of Network Operation and all activities concerning the site must be approved by Network Operation. After the new network element has been taken over by operations all responsibilities and further handling is the sole responsibility of Network Operations. However if any abnormalities should arise, affecting the operation or network performance other sections shall respond to requests from Network Operations to resolve the problems under supervision from Network Operations. In general, all issues that are a directly or indirectly caused due to poor Workmanship Standard and/or failure to meet the general requirements set out in the GP standards and requirements will remain the responsibility of the section responsible for their execution. Transmission problems such as interference in the access network due to interference from other GP elements will remain the responsibility of transmission planning even if the new element has been taken over by Network operations. GSM Radio interference or other disturbances caused by GP elements will remain the responsibility of radio planning even if the new element has been taken over by Network Operations. Difficult or restricted access to a site will remain the responsibility of Site Acquisition even if the new element has been taken over by Network operations. The folder shall be created by site acquisition when they have identified the candidate and the candidate is approved by Planning and Civil Works. Copy the template folder into the sitefolder directory and rename according to site name. Radio, Transmission, Civil Works, Site Acquisition and Implementation are obliged to use their subfolders in the sitefolder in such a way that the items listed under 2.4 are available in due time. Each sitefolder shall have a Sitefolder Input Sheet listing the status and active parties. The folder shall be kept updated with the latest version, this is mandatory. Will generator or other stabilizing measures have to be considered? Does the landowner/landlord (including neighbors) accept a generator in the premises and where? GrameenPhone is one of the largest mobile Company of Bangladesh. It has more than 6 million subscribers and country wide radio and transmission network. Optical fiber plays a very important role in Grameenphone transmission network. Optical fiber has created the most important part of the backbone ring. At the same time optical fiber has been used to have new coverage. Both BTS and trunk traffics are connected by this optical fiber. Almost the whole fiber network is built by single pair of fiber and this fiber runs along the rail track and Highway track. A flexible optically transparent fiber usually made of glass or plastic, through which light can be transmitted by successive internal reflections. A single hair-thin fiber is capable of transmitting trillions of bits per second. In addition to their huge transmission capacity, optical fibers offer many advantages over electricity and copper wire. Light pulses are not affected by random radiation in the environment, and their error rate is significantly lower. Fibers allow longer distances to be spanned before the signal has to be regenerated by expensive “repeaters.” Fibers are more secure, because taps in the line can be detected, and lastly, fiber installation is streamlined due to their dramatically lower weight and smaller size compared to copper cables. An optical fiber is constructed of a transparent core made of nearly pure silicon dioxide (SiO2), through which the light travels. The core is surrounded by a cladding layer that reflects light, guiding the light along the core. A plastic coating covers the cladding to protect the glass surface. Cables also include fibers of Kevlar and/or steel wires for strength and an outer sheath of plastic or Teflon for protection. For glass fibers, there are two “optical windows” where the fiber is most transparent and efficient. The centers of these windows are 1300 nm and 1550 nm, providing approximately 18,000GHz and 12,000GHz respectively, for a total of 30,000GHz. This enormous bandwidth is potentially usable in one fiber. Plastic is also used for short-distance fiber runs, and their transparent windows are typically 650 nm and in the 750-900 nm range. There are two primary types of fiber. For intercity cabling and highest speed, single-mode fiber with a core diameter of less than 10 microns is used. Multimode fiber is very common for short distances and has a core diameter from 50 to 100 microns. See laser, WDM, fiber optics glossary and cable categories. The fibers in this picture are being prepared for splicing in a wiring closet. These few strands can collectively transmit trillions of bits per second. In the late 1970s and early 1980s, telephone companies began to use fibers extensively to rebuild their communications infrastructure. According to KMI Corporation, specialists in fiber optic market research, by the end of 1990 there were approximately eight million miles of fiber laid in the U.S. (this is miles of fiber, not miles of cable which can contain many fibers). By the end of 2000, there were 80 million miles in the U.S. and 225 million worldwide. Copper cable is increasingly being replaced with fibers for LAN backbones as well, and this usage is expected to increase substantially. The optical fiber can be used as a medium for telecommunication and networking because it is flexible and can be bundled as cables. Although fibers can be made out of either transparent plastic or glass, the fibers used in long-distance telecommunications applications are always glass, because of the lower optical attenuation. Both multi-mode and single-mode fibers are used in communications, with multi-mode fiber used mostly for short distances (up to 500 m), and single-mode fiber used for longer distance links. Because of the tighter tolerances required to couple light into and between single-mode fibers, single-mode transmitters, receivers, amplifiers and other components are generally more expensive than multi-mode components. GrameenPhone acquired the optical fiber network of Bangladesh Railway (BR), back in 1997 through a lease contract for 20 (twenty) years from the date of signing for the purpose of building a nation –wide telecom backbone infrastructure for its own use. Recently the contract was reviewed and extended for another 10 (ten) years. The total length of GP’s Optical Fiber is now 2009km and the maximum capacity is STM-16(2488 Mbps, 1008E1 PCM). Initially GP took lease from Bangladesh Railway 1616km and the maximum capacity was STM-4(622Mbps, 252 E1 PCM). Later GrameenPhone expanded and upgraded this Optical fiber network. Additionally GrameenPhone have his own 600km Optical fiber network on highway track. GP also use Metro link fiber for providing indoor coverage in high-rise building. Data traffic of Grameenphone is growing at an explosive rate. Transmission speeds need to increase in line with this trends. So Grameenphone needs high performance transmission media and fiber-optic has been the adoption of this response. Presently GrameenPhone using 32 pairs fiber optic cable. The quality of Data doest not distorted where fiber optic communication is used. For example, GrameenPhone leases out its fiber capacity to commercial banks where data accuracy is extremely important. Fiber optic communication keeps bit error rate (BEA) below 10-9 range. Grameenphone has a country wide vast transmission network. Huge cost is required to build this network by using Microwave system and provide the same capacity. But fiber-optics significantly reduced GrameenPhone’s transmission network cost. Fiber-optic communication technology has reduced signal degradation so far that no regeneration of the optical signal is needed over distances of hundreds of kilometers. This has greatly reduced the cost of optical networking, where the cost and reliability of repeaters is one of the key factors determining the performance of the whole cable system. The Fiber optic maintenance cost is relatively Zero. OTDR (Out door fault locator). Fusion splicing M/C (Used for the spliced of two different fiber). Diamond Cutter (to sharp the OF). Smouve (To protect the OF joint). GrameenPhone sub-leases the transmission capacity of its fiber optic network, leased form Bangladesh Railway commercially to the prospective business clients such as other telecom operators. ISP’s, DDN service provider etc. Fiber Optic Network (FON) division is responsible for manage the nationwide fiber optic network and to create and sell the transmission capacity commercially. Fiber optic is playing a very important part in overall GrameenPhone business. In fact it is the main strength to leverage on for GrameenPhone. It has help keep the transmission cost at minimum level and at the same time ensuring absolute data accuracy with tremendous data flow rate. It is also helping GrameenPhone as a alternate earning source through sub-lease of the spare fiber optic capacity. SOA or Service Oriented Architecture is being inferred in different ways by vendors according to their convenience. The resultant risk is that the actual benefit and importance of SOA is getting buried underneath. It is just not fair. For a layman, what exactly is SOA? According to web definition, a Service Oriented Architecture is a collection of services that communicate with each other. The services are self-contained and do not depend on the context or state of the other service. They work within distributed systems architecture. So is it about technology…? No! But it does carry the word architecture in it, making it sound all the more technical. No wonder most of us run to a consultant, when we assume that things are beyond our comprehension. Now coming to what SOA is out to achieve. It is basically about creating a responsive and agile IT infrastructure. Thus, enabling comprehensiveness in the technology investment. In fact, it is more about tackling the business issue rather than the technology part. If you look at it in the real terms, SOA is more valuable by its mere scope of approach. In some cases, it is even essential for some companies like service providers to go for it as they are in a much more competitive field. Of late many CRM companies have realized the potential and importance of aligning their products and applications. For e.g., we have the AppExchange strategy by Salesforce.com that allows users to select and mix a wide range of specific business application services around a core CRM architecture. SOA (Service Oriented Architecture) A system for linking resources on demand. In an SOA, resources are made available to other participants in the network as independent services that are accessed in a standardized way. This provides for more flexible loose coupling of resources than in traditional systems architectures. Management of automated services. A generic term for software and techniques used to monitor and control software-based services, usually within a service-oriented architecture (SOA). These include identity and access management, policy configuration, usage metering, availability monitoring, performance measurement and business activity monitoring. To stay on top of diversity, unpredictability and change in web services deployments, early adopters are prioritizing services management. Management of computing infrastructure. The phrase specifically refers to a class of software that automates the various processes associated with looking after organization’s hardware and software assets. These include activities such as asset tracking, software versioning, performance measurement, availability monitoring, data backup, capacity planning, disaster recovery, and so on. – Monitoring, assessing and communicating consequences of external requirements re. Internal control, e.g. PCAOB and communicationof recommendations. – Inclusion of new businesses. As I am attach with the BTS maintain, Generator services, AC distribution, Power system, ROC, Battery distribution, SOA Compliance & Spear Management department of technical division, Dhaka of GrameenPhone I have the privilege to work with some Hard working Engineers. Being a Intern I have visited more or less200 BTS and Few Big link side like Confidents Celebration point -1,working in a team, documentation of asset id with ERP, pushing pulling data, liaison with RUT &ROC ,making SOA files for supporting SSM Engineers which has been set filter/protocol between Implementation & network operation department . I also gave the support 1 day in Lulbug Sub-Center.